This pathway provides guidance for appropriate imaging investigation of adult patients with acute right upper quadrant pain or suspected acute cholecystitis. 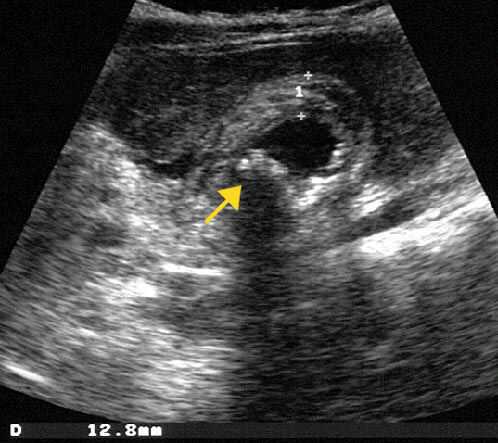 Image 1 (Ultrasound): Grossly thickened gallbladder wall (12.8mm measured between callipers, normally up to 2-3mm) with calculi (arrow) within the gallbladder and pericholecystic fluid. 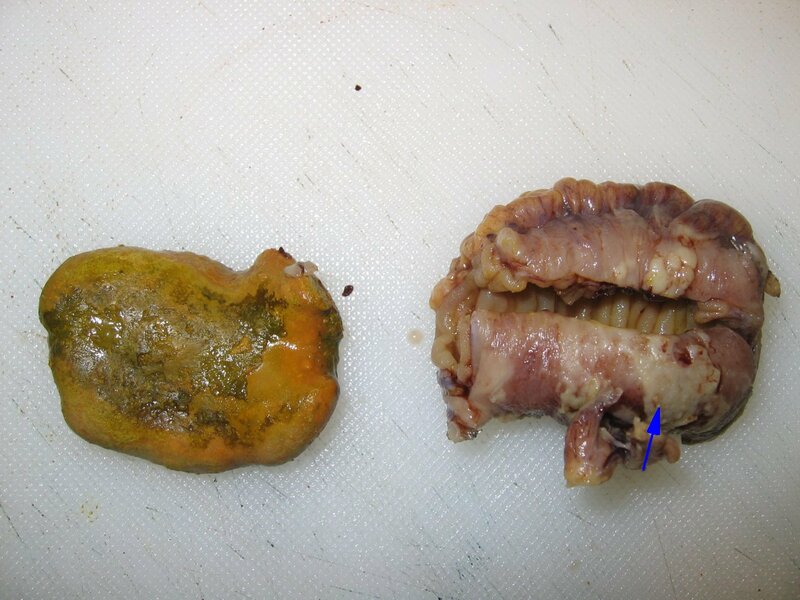 Image 2: Cholecystectomy showing acute cholecystitis with gallbladder wall oedema, vascular congestion and purulent exudate (blue arrow) caused by a massive cholesterol stone. 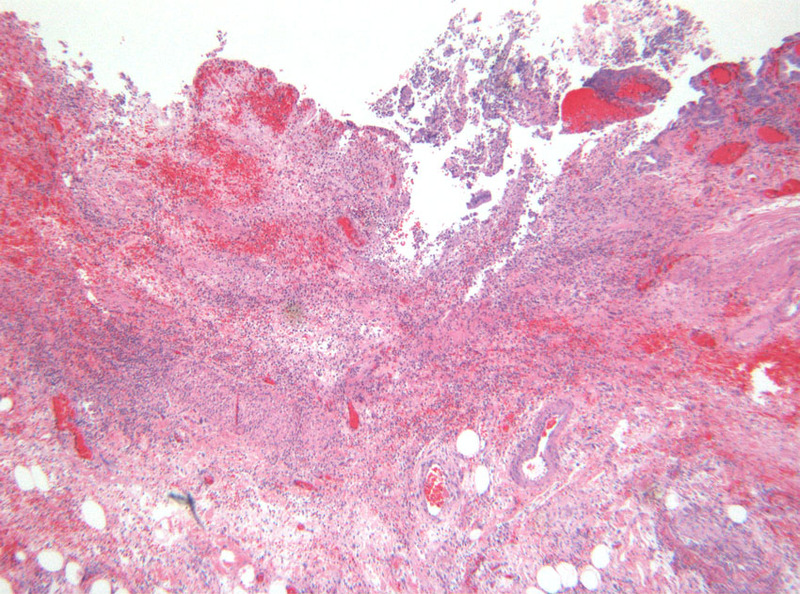 Image 3 (H&E, x2.5): Histological section of severe acute cholecystitis showing extensive ulceration of the mucosa, haemorrhage, oedema and a dense transmural infiltrate of neutrophils and mononuclear inflammatory cells. Image 4 (HIDA Scan): Normal scan with visualisation of the gallbladder (GB) indicative of a patent cystic duct. The common bile duct (CBD) is also clearly identified. A. Clinical: Local signs of inflammation, etc. B. Systemic signs of inflammation, etc.